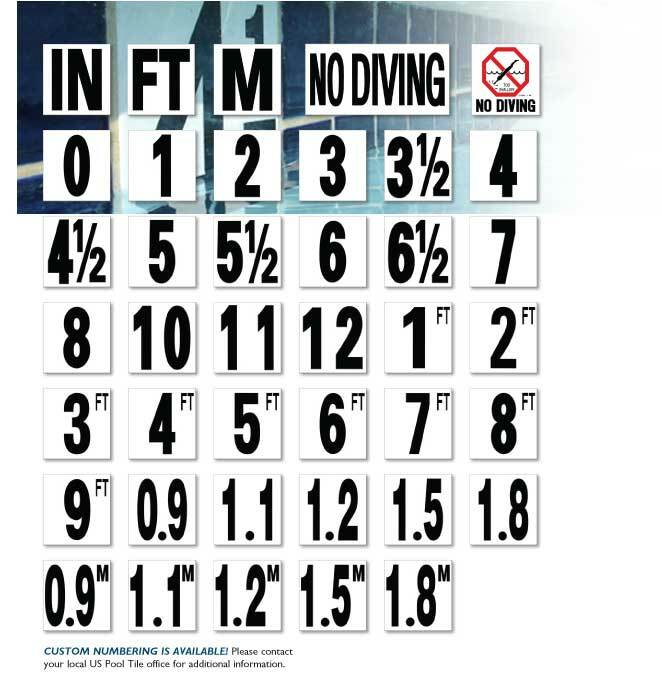 US Pool Tile carries a comprehensive line of depth markers. A perfect way to add an element of safety to any home or public pool, these are available in both deck and waterline tile. Ask your local representative for more information on creating your own unique tile.